Aquatint with burnishing and scraping, first state. FORT WORTH—Described by art historians as the last of the old masters and first of the modernists, Francisco de Goya, painter and printmaker, created remarkable images of nobility, war, nightmares, bullfighting and even roller-skating that have beguiled and sometimes perplexed viewers for over 200 years. 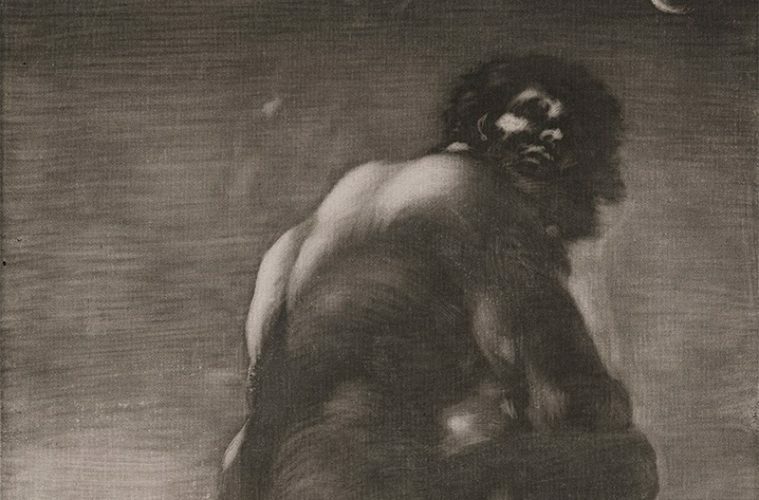 The Kimbell Art Museum in Fort Worth will give Texas art lovers a new and unique perspective on the complex genius with the exhibition Goya in Black and White. Running concurrently is Balenciaga in Black, a selection of Spanish master couturier Cristobal Balenciaga’s most iconic silhouettes “reveal…the imaginative yet simple taste of this extraordinarily skillful tailor who invented the semi-fitted suit, the tunic dress and the Sack dress.” Both exhibitions are on view Oct. 7-Jan. 6, 2019. DALLAS—TITAS Presents brings two outstanding troupes his month, the widely acclaimed Stephen Petronio Company on Oct. 19-20 with a program that features three works by Petronio: Bud set to Rufus Wainwright’s “Oh What a World,” Untitled Touch with an original score by Son Lux, Hardness set to music by Nico Muhly, along with an excerpt from Steve Paxton’s Goldberg Variations set to the Goldberg Variations by J.S. Bach; and Aspen Santa Fe Ballet on Oct. 26-27 in a collaboration with acclaimed pianist, Joyce Yang, with a program that includes Jiří Kylián’s poetic Return to a Strange Land, Nicolo Fonte’s Where We Left Off, and a new commission by Jorma Elo. Both shows are at Moody Performance Hall. DALLAS—AT&T Center for the Performing Arts’s Elevator Project presents Dark Circles Contemporary Dance in the world premiere of Joshua L. Peugh’s Aladdin, حبيبي , a meditation on American rhetoric regarding the Middle East and the stereotypes associated with Middle Eastern races and cultures. “The story of Aladdin gives us an opportunity to dream. We may not all wish for huge palace-sized homes, but, for me, Aladdin’s story is a reminder that through effort, commitment—and a healthy dose of stubbornness—all is possible; you just have to wish it. And, if you can’t wish it, you work to make it happen,” says Chadi El-khoury, who plays the role of Aladdin. GALVESTON—The Galveston Art Center will open three new exhibitions by artists Buster Graybill, Jasmyne Graybill, and Bill Willis, Oct. 13-Nov. 18. 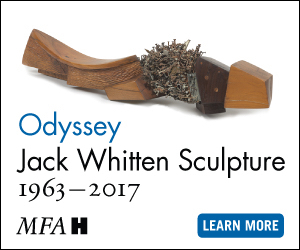 For Leisurely, Buster Graybill will present his latest sculptural innovations. 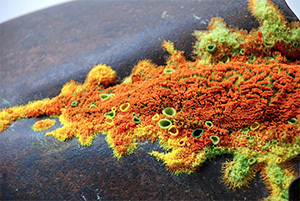 Jasmyne Graybill’s small, intricate works make use of vibrantly hued polymer clay to “celebrate nature’s resiliency, [and] find wonder and beauty in the most denigrated elements of our environment.” Painter Bill Willis has turned his focus to our obsession with images of food, referencing vintage cookbooks and Instagram with his latest series of works. HOUSTON/DALLAS—He’s the ultimate outsider. Cursed by Satan, the protagonist of Richard Wagner’s The Flying Dutchman must sail the world’s seas for all eternity. Satan’s decree offers him just one hope of escape: Every seven years, the Dutchman can come ashore. If he finds a woman who vows to be faithful to him unto death, he will win his release. Otherwise, it’s anchors aweigh. 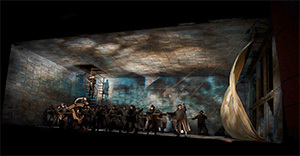 Opera has a way of overriding cosmic law. So Wagner’s tormented sea captain will soon land simultaneously in two Texas cities. In one incarnation, he opens Dallas Opera’s season on Oct. 12. In another, he launches Houston Grand Opera’s Houston Grand Opera’s season Oct. 19. 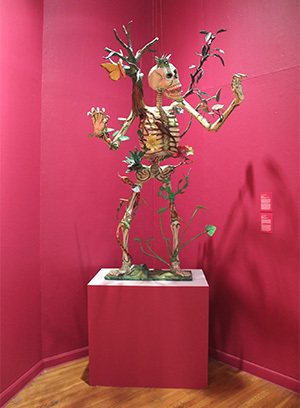 Felipe Linares, Rebirth, c.1980-1985, Papier-mache, Mexic-Arte Museum Permanent Collection. AUSTIN—For the 35th anniversary of Mexic-Arte Museum’s annual Dia De Los Muertos exhibition, the museum features Viva La Vida, a look back at it’s own history of representing the traditional celebration in Austin. The exhibition will feature work that presents a series of contrasts, “popular and traditional, sacred with secular,” to explore how the institution and the city have developed a unique relationship to Dia de Los Muertos. This show runs through Nov. 25. 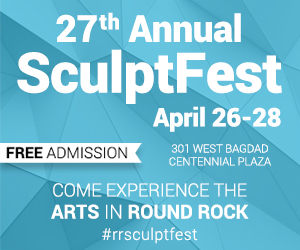 HOUSTON—While New York audiences have been able to get an up-close-and-personal with Parks for years, Houston audiences will get the chance to see just what makes Parks one of the most dynamic living artists of any genre. 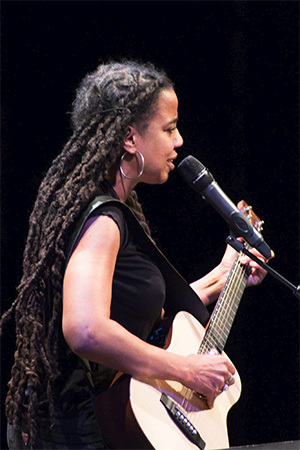 Suzan-Lori Parks, a MacArthur “Genius” Award winner, will deliver the annual 2018 Mitchell Artist Lecture on Oct. 30 at the Moores Opera House, presented by University of Houston Cynthia Woods Mitchell Center for the Arts. 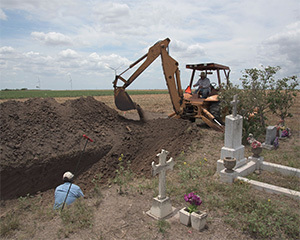 Migrant Remains Exhumation, Tres Norias Cemetery, Willacy County, Texas. Image courtesy of Borderland Collective. 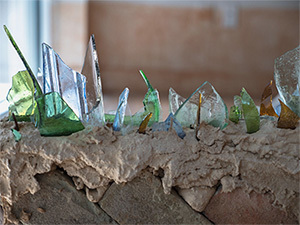 SAN ANTONIO—Artpace presents Borderland Collective: One to Another, led by artists Mark Menjivar, Molly Sherman, and Jason Reed. The multi-media exhibition “invites viewers to contemplate their own familial migration stories within the context of larger migration narratives.” The exhibition seeks to understand the personal and physical realities of migration as they relate to the political rhetoric around this pressing topic. Through Dec. 30. 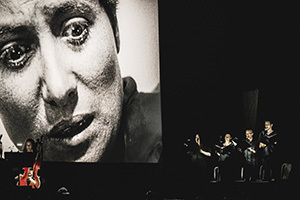 Verdigris Ensemble performing the soundtrack to George Sarah’s Joan of Arc in collaboration with the Oak Cliff Film Festival and the Texas Theatre in June 2018. Photo by Dickie Hill.